No, I did not eat a Cheese Cake Burger 🙂 Despite the thought of many people who have not been to a Cheese Cake Factory – they also serve a lot of other stuff than Cheese Cake. Its a really touristic thing to go there, but I took the chance to go there while a friend from germany came to visit. (Actually I have been there before to try the Cheese Cake but not the other food). 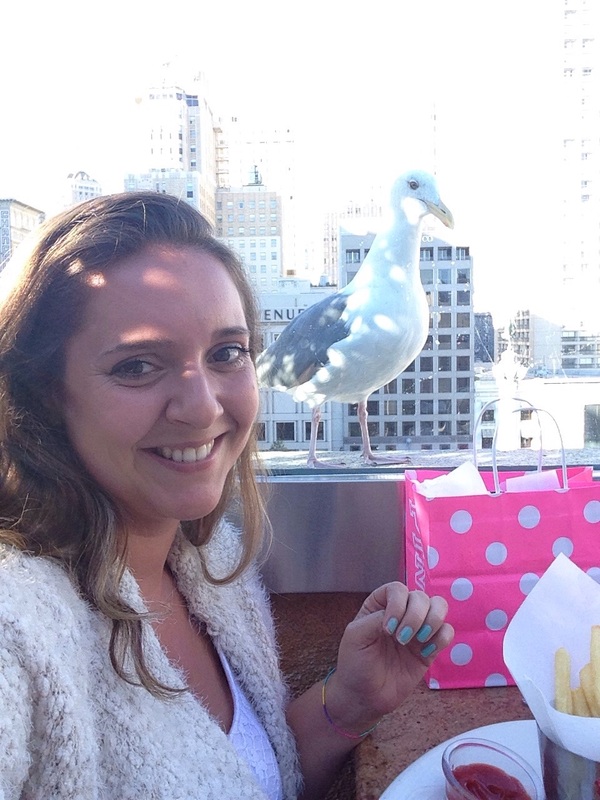 Located on top of Macy´s at Union Square, meaning its always crowded, we were lucky to get a seat outside in the sun. If you sit outside, be prepared to visitors that will distract you from eating 🙂 but I actually enjoyed it, as you can see. My friend ordered a smoked house burger and her words were exactly this: ” I did not expect that, but this is the best burger I have ever eaten, and believe me, I tried a lot”. I was laughing and I tried it, it was really good. Me instead I had a sandwich (been eating to many burgers in the past, I need some “variety” ;). 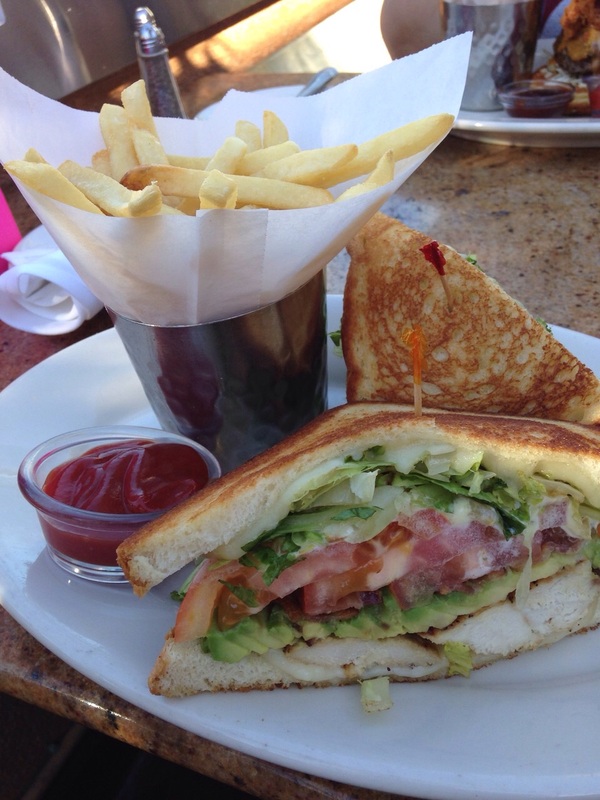 I am a big avocado fan, so I ordered a chicken avocado sandwich with fries. 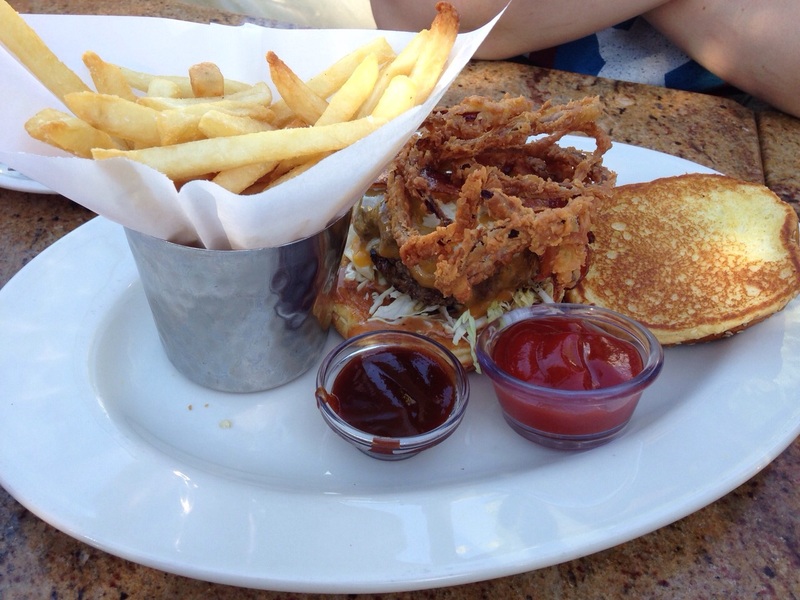 The fries were really good and the sandwich was too. For my mouth it was kind of too large to eat, but I managed it while I got scared so many times from the bird. Our was really considerate, he took care of us very well and came often to refill our drinks. Because of the high demand, it is not a place were you can sit after eating and enjoy the view… in a very nice manner they made it clear that they need our table for the next guests.